What a beautiful house - so very well equipped with all the basic things and such nice furnishings. We were very happy here. Thank you for all your efforts. And we appreciate the art especially yours! With love and good wishes. How can I say what a great time we had here at Kali Zoi House. I greatly needed this trip and I can't thank you enough for all you have done for us. Looking forward to coming back. With love, Maria and Joe. 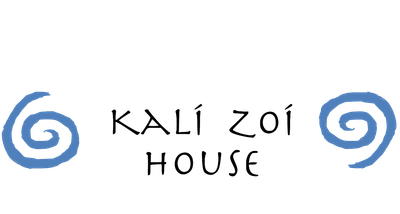 Coming to Key West was a dream of a lifetime for me and just when I thought it couldn't get any better we stayed at Kali Zoi House. Beautiful, peaceful surroundings, comfortable beds, impeccably furnished with all of the essentials one needs! Thank you for providing my husband and I precious memories that will last forever.